Breakthrough MMA kicks off their 21st event titled “The Resurrection”! Right here at the Ocean Center this Saturday! The main event will be especially exciting as Jzareyonte, undefeated fighter out of Pete White Boxing, takes on Mike Rivera for the Bantamweight title. The belt was vacated after undefeated vet Dominic Jones made the decision to go pro. Other than that they have a very stacked card including Breakthrough vet Deon Times taking on Votypka at 170lbs. This card will also feature 3 female fights. Jason Arnett has done great work shedding light on women’s MMA including an all female main event card that helped raise awareness for breast cancer. Make sure you come check out this exciting event from the biggest amateur fight promotion company in Florida! Jeanett trained 4 1/2 years at The Jungle MMA under Mauy Thia and BJJ. She became a purple belt in BJJ during the process. 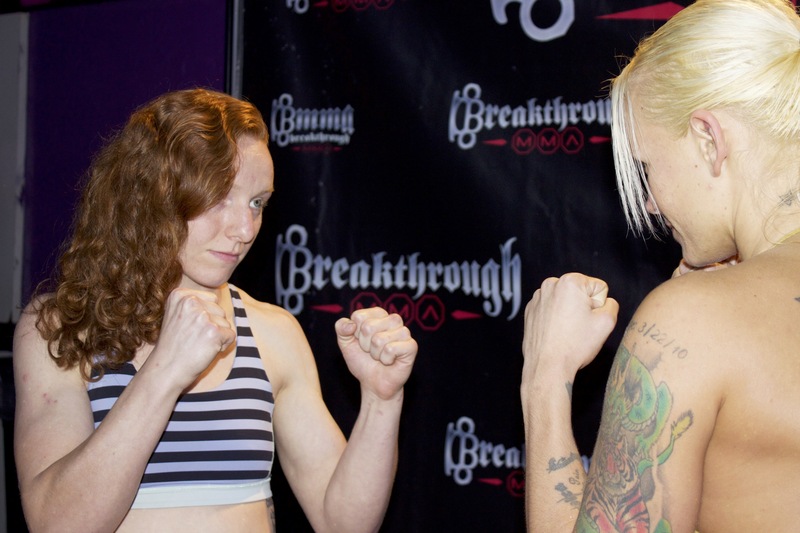 She says that she constantly trains but started her weight cut about 2-3 months prior to this particular fight. She has also earned two grappling tournaments in the past where she was honored with 2 NAGA gold medals. She was particularly proud of being able to participate in the “Fight for the Cure” event with Breakthrough MMA which gave donations towards breast cancer. Thanks to all the woman whom participated. Click the video below to hear more in depth on what she had to say about her fight.